The Foresters got revenge on Taylor in the Apr. 22 night cap by shutting out the Trojans. The Forester softball team traveled to Taylor University Apr. 22 and split a doubleheader. In the first game, the Trojans hit three home runs on their way to beating the Foresters 6-2. Huntington’s two runs came from errors, which put Foresters on base for Emily O’Leary and Katelyn Shafer to register RBIs on ground outs. Ariel Sheets took the loss for the Foresters after pitching the first five innings and giving up eight hits, five runs and a walk. Huntington had two hits to Taylor’s ten. The Foresters turned the tables in the second game by shutting out Taylor 4-0. This was only the fourth time Taylor has been blanked this season, and the second time it has been at the hand of the Foresters. After Natalie McGuire got on base by walking in the third inning, she advanced to third base per a Courtney Sliger double. McGuire scored to give HU its first run. Audra Klopfenstein followed Sliger, hitting a single and pushing Sliger to home. 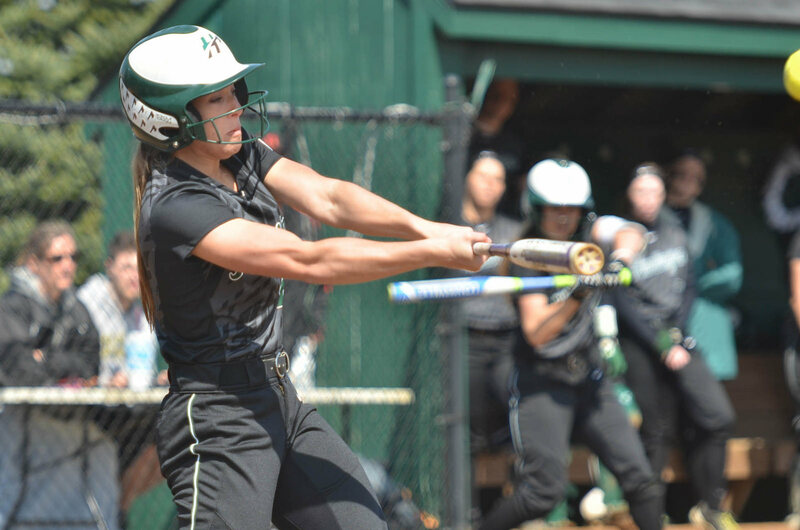 Klopfenstein tallied two of HU’s seven hits and an RBI. Emily Puterbaugh earned the complete-game shutout. She scattered just two hits and gave up a walk while striking out nine for her 16th win of the season. The Foresters know that at this point, every game is crucial in helping them achieve their goals. The team is also approaching the record for most games won in a season. Klopfenstein said she attributes this to several facets of the system. “We have some great coaching, great seniors, leadership and lots of fun,” she said. Head coach Doug Gower is eager to see his what his team can do in the conference tournament and is excited because he knows his team has a good chance. “We compete as hard as possible every time out on the field,” said Gower.